We visited friends in Northampton, Mass, had a great time and did some birding! 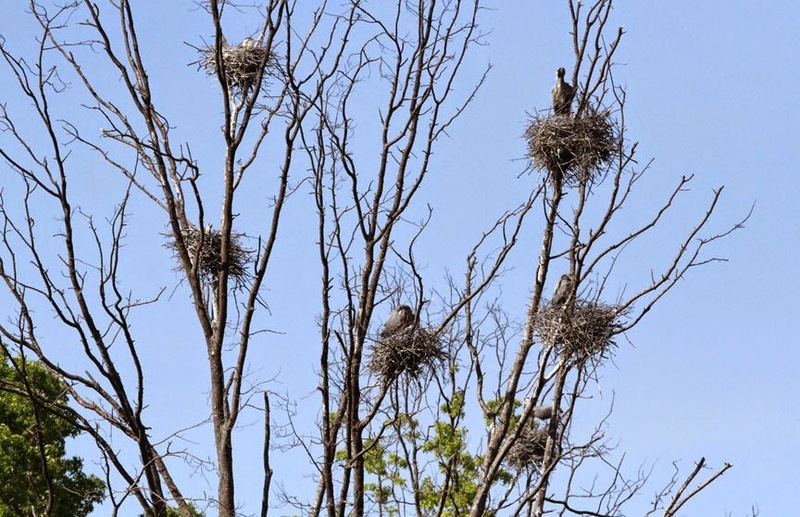 There's an amazing rookery at Arcadia Wildlife Sanctuary where there's at least 50 great blue heron nests and we spotted one huge, but empty, bald eagle nest. 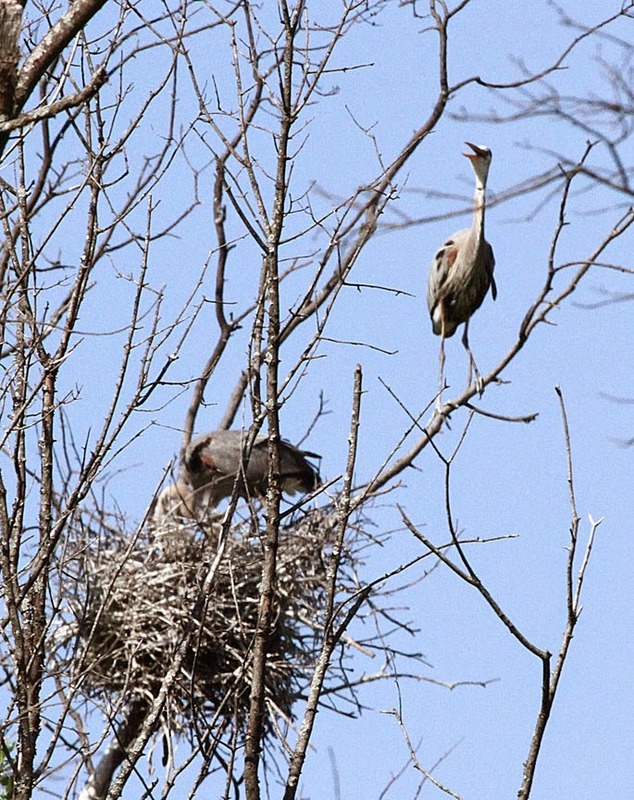 Many of the nests were occupied by adults feeding young! Both the male and female feed their offspring by regurgitating food........yum? 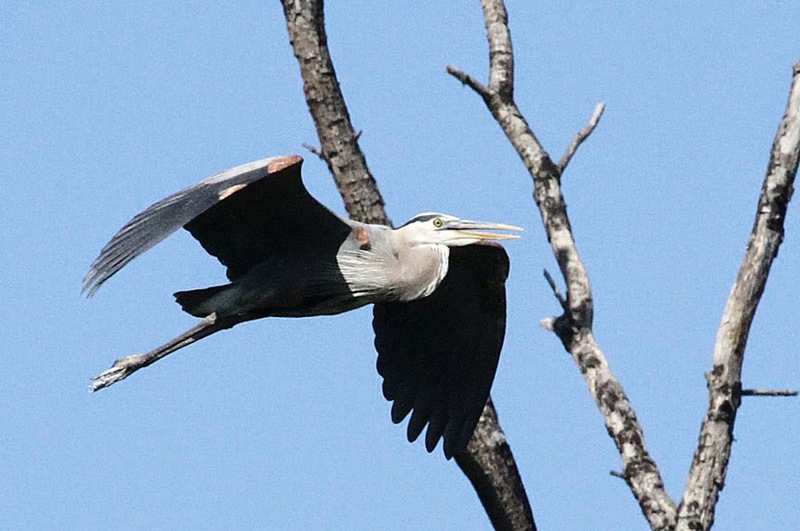 A cool fact - thanks to specially shaped neck vertebrae, great blue herons can curl their neck into an S shape for a more aerodynamic flight profile. 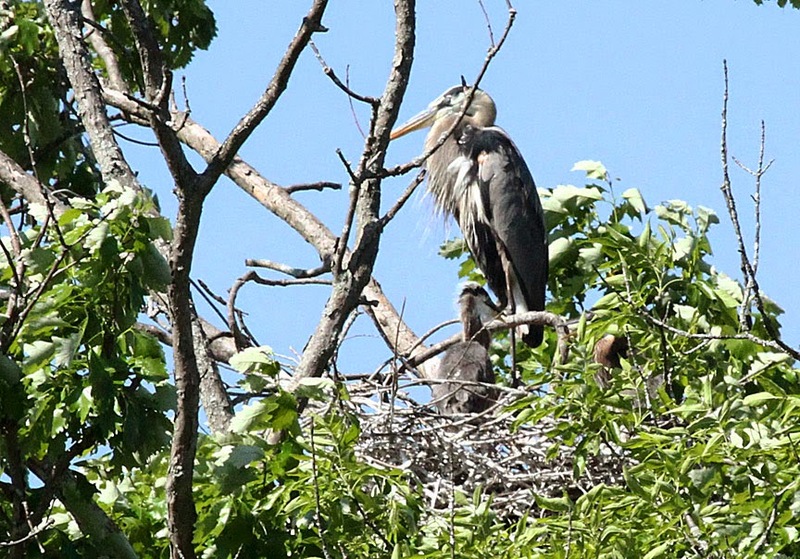 We found one nest with at least 2 babies who were probably half the size of their parents. 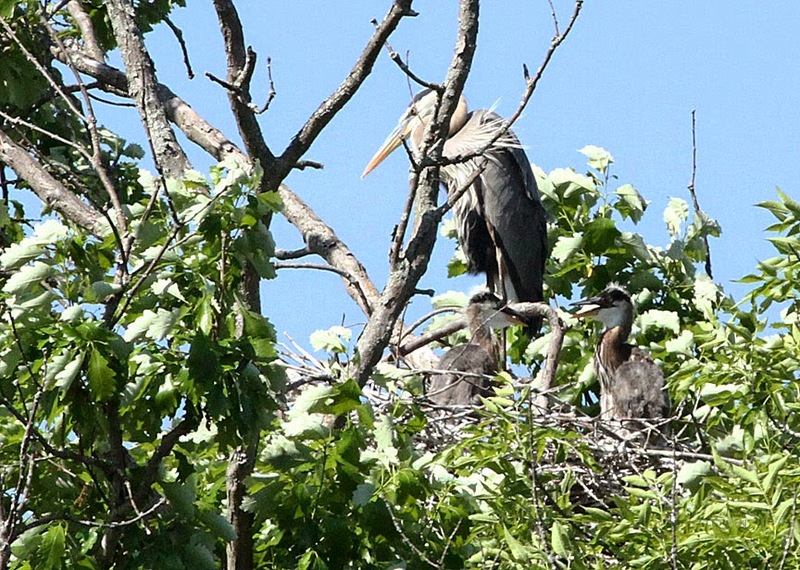 They won't have adult plumage until they are two or three years old. 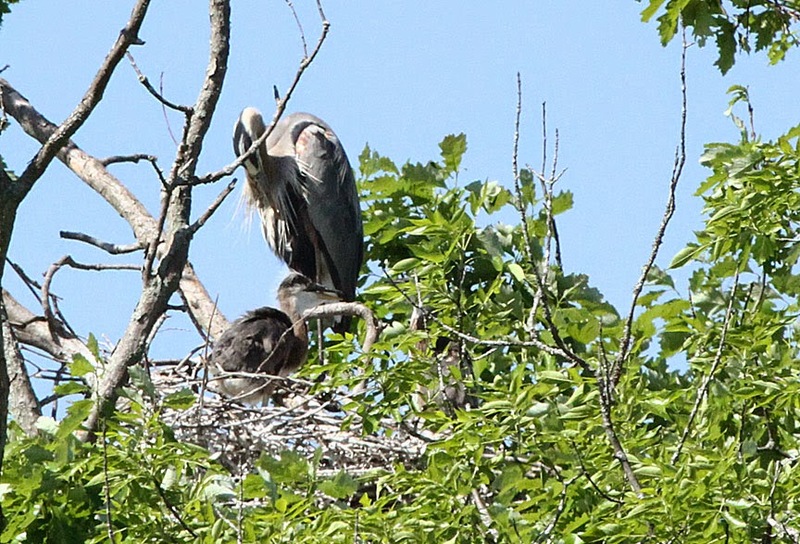 The eggs are incubated for almost a month and the chicks will fledge when they are about two months old. These two chicks look like they're having a friendly conversation about the weather. It was pretty hot that day! 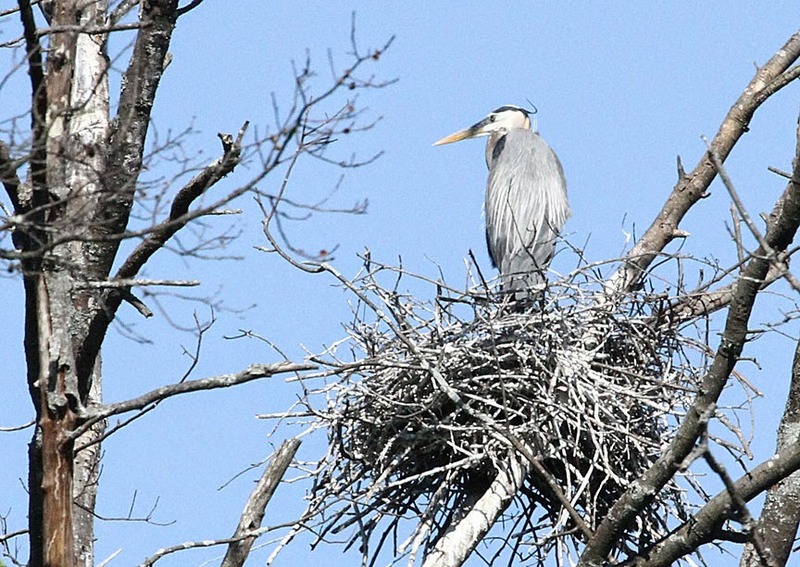 Another cool fact - great blue herons have specialized feathers on their chest that continually grow and fray. 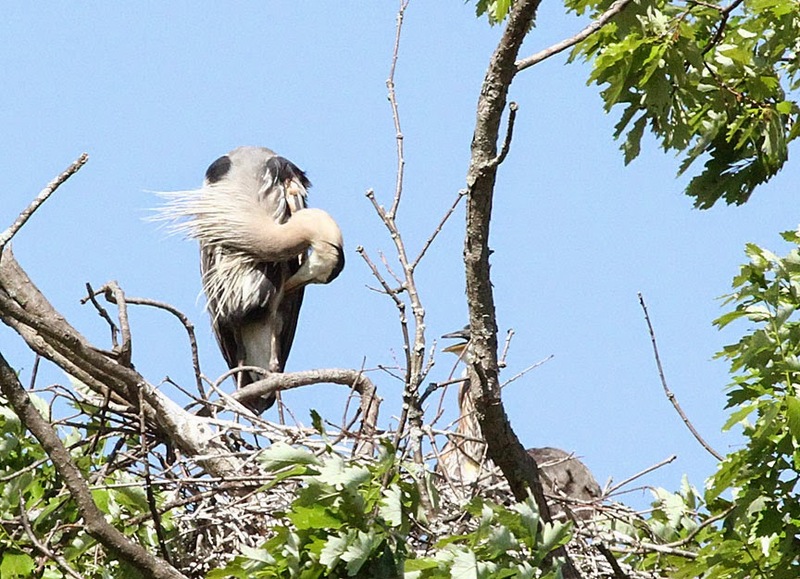 The herons comb this “powder down” with a fringed claw on their middle toes, using the down like a washcloth to remove fish slime and other oils from their feathers as they preen. Wow.... look at the number of nests in one tree.